Until recently the basic rule for commercial gas fryers fell into one of two categories: the bottom fry design or the tube type design. 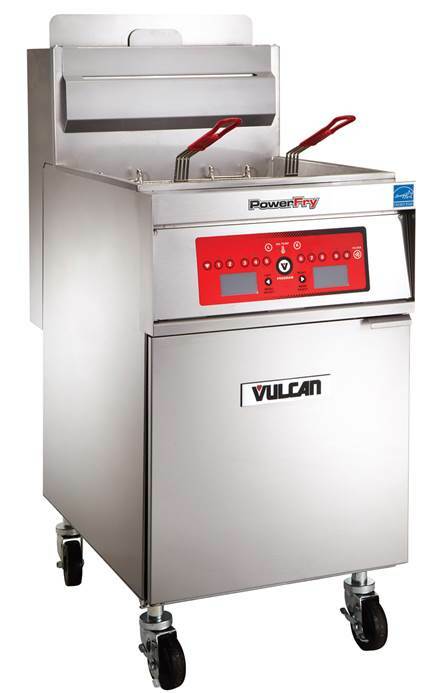 The introduction of the PowerFry VK Series fryer by Vulcan bent that rule. They bent a few tubes too. Looking into the tank of a PowerFry you didn’t see the traditional uniform and parallel heating tubes running front to back. Instead you saw an odd arrangement of bent, crimped and variable sized pipes, all welded together, and looking more like something you’d find on a Harley Davidson than a fryer. With a burner mounted to one end, the pipe arrangement created a sealed combustion chamber with no flame impingement. Interior baffles slowed down the flow of exhaust gasses and dispersed the heat. Multiple bends in the pipe meant that hot gasses passed through the length of the oil tank not once, but five times before venting up the flu. In short, this whole process transferred more heat energy into the cooking oil and less out to the exhaust and that lead to the highest Cooking Energy Efficiency ratings in the industry. The PowerFry5 proved that Five Pass Technology could deliver high output with fast recovery and a low cost of energy consumption. It’s a great choice for high-volume and around-the-clock operators … but Vulcan didn’t stop there. The PowerFry 3 is not as efficient as its big brother, but it’s still a rule bender. It still outperforms competitors in Cooking Energy Efficiency and other important measurements. It’s a great addition to the PowerFry line with a more affordable price tag.